Author: LNG Hrvatska. License: All rights reserved. SOFIA (Bulgaria), February 1 (SeeNews) - Two major projects aiming to boost the security of gas supplies to Southeast Europe (SEE), a region heavily depending on imports from Russia to meet its gas needs, made progress over the past week. Bulgaria's gas transmission network operator Bulgartransgaz successfully completed the last phase of the economic test for a 2.77 billion levs ($1.6 billion/1.4 billion euro) project for expanding its transit network from Turkey to Serbia, while Croatia's government approved the allocation of 234 million euro to finance the first phase of a project to build a liquefied natural gas terminal. At the same time the Bucharest bourse, the biggest stock exchange in SEE, set up a central counterparty in a move to double its liquidity, while an Adriatic port in Montenegro entered the radar of an UAE investor. Following is a selection of the top stories published by SeeNews over the past week. Bulgartransgaz said on Thursday that it has successfully completed the binding Phase 3 of the economic test for a 2.77 billion levs project for expanding Bulgaria's gas transit network from Turkey to Serbia. "Following the positive result of the economic test, Bulgartransgaz EAD took the final investment decision for the realization of the "Project for development and expansion of the gas transmission system" and will accordingly enter into binding capacity contracts with the candidates who submitted binding offers," the state-owned gas transmission system operator said in a statement. Bulgaria received three binding tenders in the first two phases of the open season procedure for booking incremental capacity at the future pipeline from the border with Turkey to the border with Serbia, which nominated about 90% of the exit capacity offered by Bulgartransgaz. The company subsequently decided to reduce the offered capacity for Phase 3 to the level of the nominations of candidates in the previous phase, with 20-year duration of the bookings. Following completion of Phase 3, the binding nominations submitted by users total 100% of the capacity announced within that phase on the Bulgarian-Turkish border and 100% of the capacity announced on the Bulgarian-Serbian border, Bulgatransgaz said in the statement. Bulgarian news outlet Dnevnik quoted energy minister Temenuzhka Petkova as saying on Thursday that the country's income from fees for the transit of gas through the new pipeline is expected to exceed 360 million levs per year. Last month, Bulgartransgaz launched a 2.29 billion levs tender for the construction of a new, 484 km gas pipeline from compressor station Nova Provadia, which will be located some 50 km west of the Black Sea coast city of Varna, to the border with Serbia. Russia's Gazprom plans to build a string of its TurkStream pipeline for transit of gas to Europe from Turkey via Bulgaria, Serbia and Hungary. The TurkStream offshore gas pipeline, circumventing Ukraine, stretches 930 km across the Black Sea from Russia to Turkey. It consists of two parallel strings with annual throughput capacity of 15.75 billion cubic metres of gas each. One string is intended for consumers in Turkey, while the second will carry gas to customers in Europe. 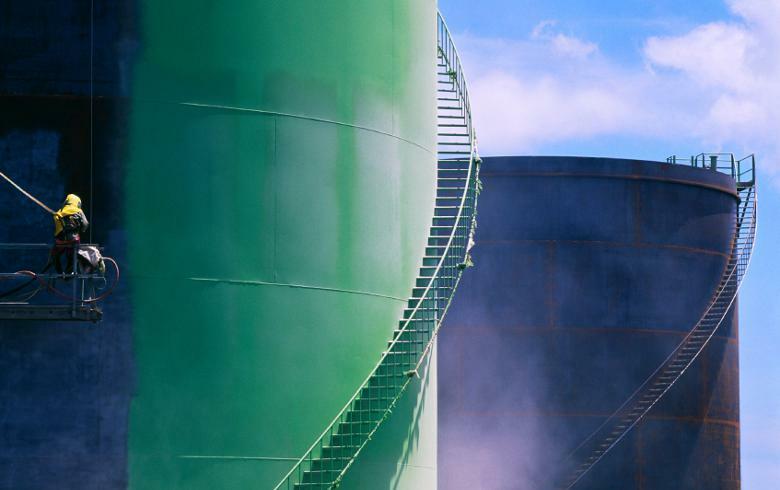 Croatia's government approved the allocation of 234 million euro ($267.2 million) of budget funding for the first phase of a project to build a liquefied natural gas (LNG) terminal on the island of Krk, it said on Wednesday. The project's first phase consists of building a floating storage and regasification unit (FSRU) vessel worth 160 million euro and pipelines and facilities for the storage and reloading of liquefied natural gas worth an additional 60 million euro, the government said in a statement. Land plots for the project will add a further 14 million euro to the expenditures. Of the total amount of state funding, 50 million euro will be made available in 2019 and a further 50 million euro in 2020. An additional 32.6 million euro will be provided by the national electricity company HEP and the gas supply network operator Plinacro - the two companies that co-founded the LNG Croatia company, which will manage the future terminal. "The implementation of the LNG terminal project will enable gradual strengthening of the energy community by diversifying energy sources and transport routes," energy minister Tomislav Coric said, as quoted in the statement. In December 2017, the EU provided a 101.4 million euro grant for the construction of the LNG terminal on the island of Krk considered to be a project of common interest by the European Commission. The Commission said at the time that the LNG terminal will first operate as an offshore floating storage and regasification unit with a yearly capacity of at least 2 billion cubic metres. Its cost is estimated at 383.6 million euro. UAE-based ports and industrial zones developer Abu Dhabi Ports has expressed interest in investing in Montenegro's Bar port, the Montenegrin government said. A delegation of Abu Dhabi Ports has visited Montenegro to continue the negotiations on a potential partnership for the development of the harbour, as the company has been looking at Bar port for more than a year, the government said in a statement. "We intend to position Bar port on the market in such a way as to be competitive with the ports in the region, and in time to become the main regional port, given its good geographical position and existing development capacities," the commercial and the strategic department director of Abu Dhabi Ports, Ross Tompson, said in the statement. The cooperation with Abu Dhabi Ports would be beneficial not only for Bar port but also for the Montenegrin state, given the harbour's economic importance, the government noted. "The geographical position of Bar port, as well as the underused harbour capacities, can be an incentive for a company from the UAE to improve its performance by investing and transferring knowledge," Montenegro's transport minister Osman Nutkovic noted. growth of UAE, generating 3.6% of its non-oil gross domestic product. Shareholders of the Bucharest Stock Exchange (BVB) approved the establishment of a new company which will be authorised to act as the local Central Counterparty (CCP), the bourse said on Tuesday. The decision was made during an extraordinary general meeting of shareholders held on January 29, the BVB said in a press release. The maximum investment needed to finance the project will be 16 million euro ($18.3 million), to which BVB will contribute up to 10 million euro. "The new infrastructure will pave the ground for a fast-paced development of the market without increasing any costs. The locally established counterparty takes into account the specifics of the Romanian market, where the brokerage companies are weakly capitalized. As a matter of fact, the trading costs are not going to be higher for brokers, nor for clients. The investors will be able to access more investing strategies and, as the market develops, we plan to lower tariffs," BVB CEO Adrian Tanase said. The projections for the first ten years of the CCP main revenue streams that support its activity, namely the spot (cash) market, the derivatives market, financial revenues and membership activity, indicate a feasible project, the BVB said. Moreover, the partnership between BVB and OPCOM (the Operator of the Romanian Electricity and Gas Markets) will allow the newly established CCP to go into the black at the end of the second year, according to the base case business plan. In addition to the transactions carried out on BVB markets for shares, bonds and financial derivatives, the CCP project should provide clearing services for transactions in the energy market from the beginning. Also, in the first stage, shareholders plan to launch financial instruments such as futures contracts linked to the electricity market. OPCOM general manager Victor Ionescu said last week the electricity and gas markets operator will inject at least 20% in the equity needed to finance the CCP. "The local Clearing Counterparty is changing the rules of the game in the capital market. We aim to have a spot market and a market for derivatives more appealing to all the participants. In the business plan proposed to the shareholders, the base scenario aims at doubling the average daily trading value from 10 to 20 million euro in the next ten years. Setting up the CCP is not a panacea to exit the below the potential liquidity status, but it is the project all types of investors need in a sophisticated capital market," BVB CEO added. Prior to the decision of the BVB shareholders, the CCP project had already received official support from the Financial Supervisory Authority (ASF), the National Regulatory Authority for Energy (ANRE) and the National Bank of Romania (BNR).